Those who argue against school choice options claim that programs like vouchers and tax credit scholarships take money away from public schools. Public school advocates have even gone as far as to sue successful tax credit scholarship programs. One instance is the lawsuit brought by the Florida Education Association (FEA) against Step Up For Students (which covers tuition, books, and other expenses for more than 90,000 low-income students). What advocates do not understand is that it is not about public versus private schools, but rather about what is best for students. Public school classrooms tend to have a higher student–to-teacher ratio. While that is an advantage in terms of teaching a uniform curriculum, it can hurt students who do not understand the material at the same pace or level as the rest of the class. Not all students have the same learning style, which means that one method may be suitable for one group of students but not for another. Private schools and charter schools are better able to address students with different learning styles by providing them with a lower student-to-teacher ratio. In fact, allowing alternatives to public schools would only improve them. Faced with competition, public schools would have to raise their standards of instructional methodology, teacher retention, and standardized testing performance. Otherwise, they will cease to be relevant. The only way to find out what public schools have to offer is to allow the forces of competition to enter the education market. Free markets and unbridled competition have allowed different sectors of our society to thrive; it is time to let them work in the education sector. Furthermore, school choice programs need not be funded from property taxes as programs like the Coverdell Education Savings Account (ESA) has shown. This program is similar to a retirement investment account, allowing parents to set money aside for their child’s K-12 education with the same tax advantages. Florida’s Gardiner Scholarship Program is a great example of ESAs at work. Launched in 2014, it provides funds for students with special needs. Parents can apply these funds toward private school tuition, tutoring, physical therapy and other programs. From 2015 to 2016, student participation in this program grew from 1,575 to 4,946 students. Whether, it is vouchers, tax credit scholarships, or the ESA, the point is to give parents the opportunity to choose the best option for his or her child’s learning needs. Ultimately, academic performance is how success is measured. It is the only reason parents and states are looking for alternative options to public education. 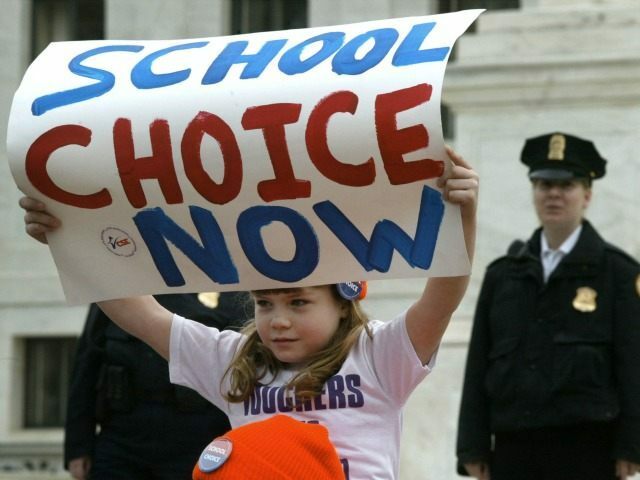 Currently, more than half of the states in the United States have some form of a school choice program. Twenty-two states have considered or are considering implementing an ESA program. Texas faces a tough battle in January of 2017 when its legislators reconsider the issue of school choice. However, when they do, they must consider what is best for students, not the public or private schools.